Maggid is an annual publication showcasing the best new Jewish writing, in all genres, from around the world. The first issue appeared in the Fall of 2004. 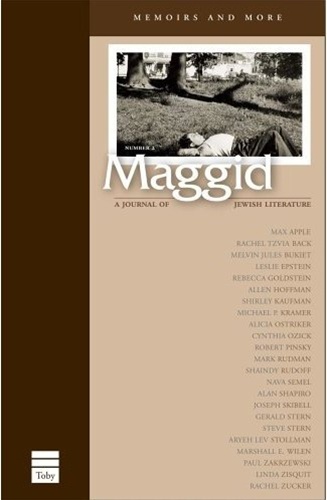 Jewish Lives: Memoirs and More is the theme of Maggid 2, bringing together fresh writing by new and established Jewish writers from around the world, illustrating the range and variety of Jewish lives from North and South America, Europe, North Africa, and the Middle East. Tova Mirvis, Tamar Yellin, Linda Zisquit and Allen Hoff man are among the contributors.